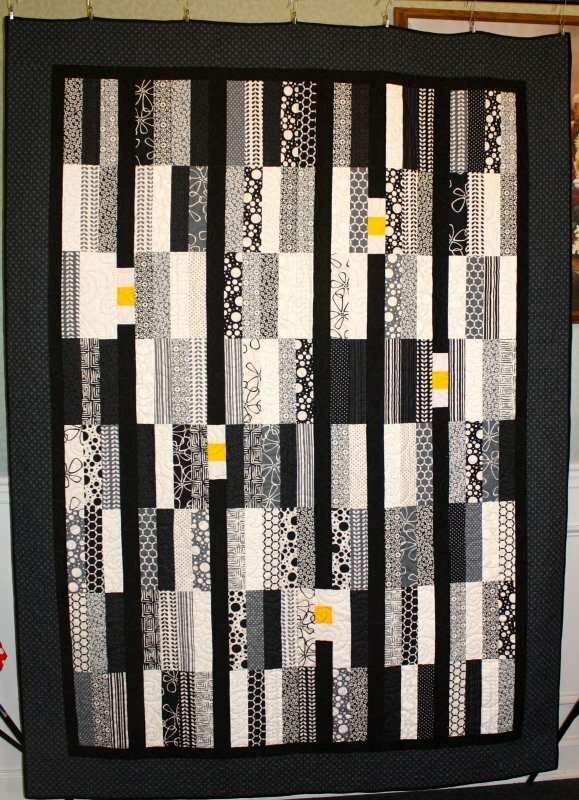 This quilt used a layer quilt along with an accent fabric and borders. Petunia pattern is made from a Jelly Roll and background fabric. Jelly roll available for $42 each. Pattern sold sepately.